This is getting ridiculous. 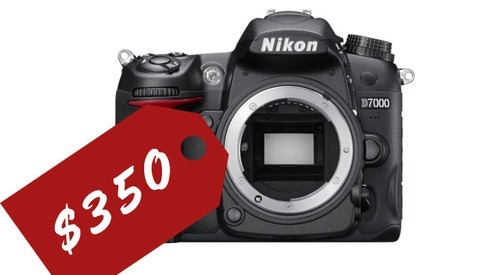 The Nikon D750, which was released less than a year ago for $2300 is on eBay for today only for $1399.00. 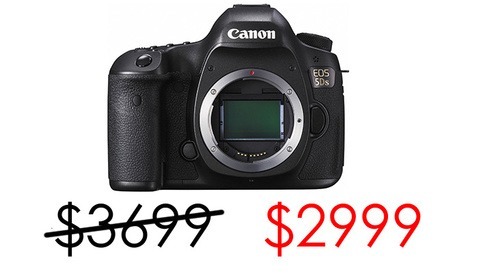 When the camera launched it cost $2300 and today you can buy the camera at most retailers for $2000. A few months ago we posted that a certain eBay seller was selling literally thousands of grey market (but still brand new) D750 cameras for just $1499. We ended up buying 4 of them and saving a total of $3200 at the time ($800 savings per camera). The cameras arrived in a week brand new in kit boxes with the kit lens removed (obviously the lenses were sold separately). Our camera's languages were set to Japanese. Once we changed them to English they were exactly the same as our USA version. 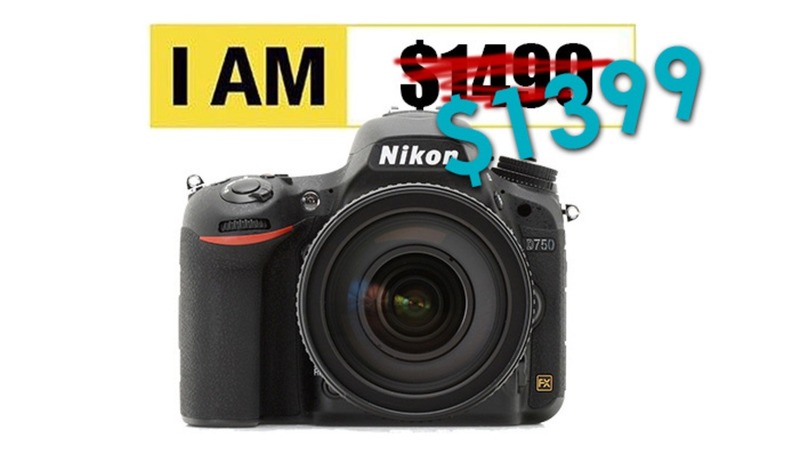 For today only the eBay seller RedTagCamera, which has 19,000 feedback at 99.9% positive, has new Nikon D750s on sale for just $1399.00. Although it doesn't say on their listing, we are assuming that these are "grey market" cameras also. Nikon service will not service grey market cameras but at a current savings of $600, I'm personally happy to take that risk. That is just insane. I have no need for this but who would have thought that you could such an amazing performing piece of gear for $1400. With so many great deals on bodies both on the new and used market you can build a pro-performing kit for so much cheaper than you could several years ago. As I understand it Nikon won't work on a grey market camera unless it has to do with a service advisory. So if you need a repair you will have to send it to a third party repair company. Are there good third party repair shops? I figured since Nikon isn't sending parts out to these repair shops that it would effectively kill Nikon third party repairs. 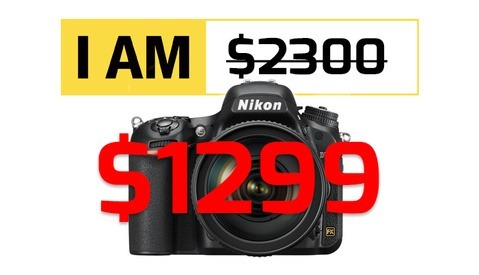 I am very interested in picking one of these up, but the only thing holding me back is that risk that it couldn't be repaired, especially since some d750's are having shutter issues. If you live in Canada it is likely that Nikon will not repair it. I had an awful time getting my camera repaired and it costed me 400$ for a 20$ part. After explaining that the way it was damaged could not have possibly been my fault. They aren't interested in keeping their warranty valid, they want to skirt the warranty to make more money. I was tempted to get one of these the first go around, but hesitated. Now I'm having problems with my 750 that I bought locally a few months ago. The flaring issue revealed itself at a wedding this weekend. Just sent it out yesterday hopefully I'll have nikon's blessing and get it fixed quickly. You could probably use it for a year and sell it for what you paid. That means it's free. Sort of. You'll certainly do better than my d800 which is worth less than half of what I paid for it. I'll give you 9 bucks for it. I've been on the fence about this for a while, but had to pull the lever at $1399. That is a crazy deal. That's almost $1000 off the original price. Thanks for posting! Can help you with shipping to France, tell me if interested. My grey D750 has come with a 3year warrantie.